As the demand for education escalates worldwide the emphasis of academic performance has been made greater by the nature of limited spaces at each higher level of education and in formal employment. Students must ensure that they obtain very high grades in order to compete favorably for the few spaces available at the higher levels of education. It is also important for educators,parents to understand students description and evaluation of themselves in a naturalistic context,where academic evaluation is an important factor. 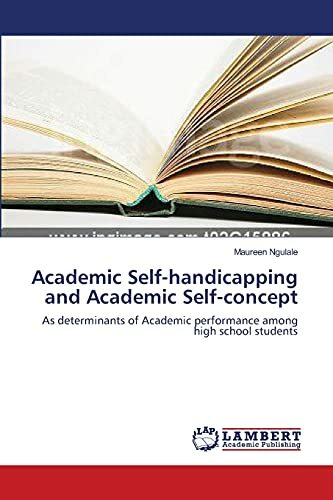 This book thus sought to examine the contribution of academic self-handicapping and academic self-concept as predictors of academic performance among high school students. Maureen Mghoi Ngulale, M.Ed(Psychology) Studied Bachelor of Education (Arts) at Kenyatta University, Kenya. High school teacher, Kenya.